What is PaidViewpoint? 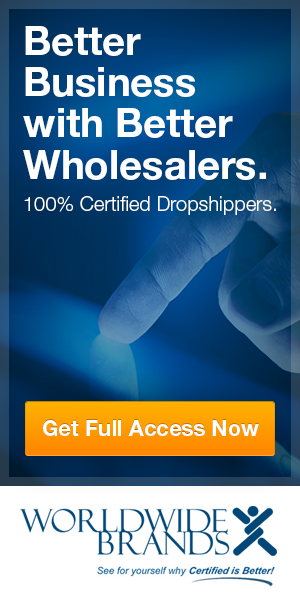 It is an online market survey platform that does not exclude you from being paid for your answers. Have you ever taken an online survey only to be stopped half way through the survey because you didn’t qualify? That will not happen here. There are many websites like mine on the internet, that help to guide you to legitimate jobs you can do from home or anywhere. But my website is different in 2 ways. I do not have those annoying popups that appear requesting your name and email and I do not offer many product reviews. In regards to the latter, I do not write many reviews because I believe in actually trying every offer I write about, unlike a majority of others who base their findings on research they have done online. So for this review of PaidViewpoint, I joined and I am still an active member that has been paid by them. Unlike any other posting of this free surveys platform, I have experienced the whole process from joining, answering questions, getting cash for my opinions, and getting paid into my PayPal account within 2 days after cashing out. What you are about to read, is the full truth about these free surveys that pay you cash. 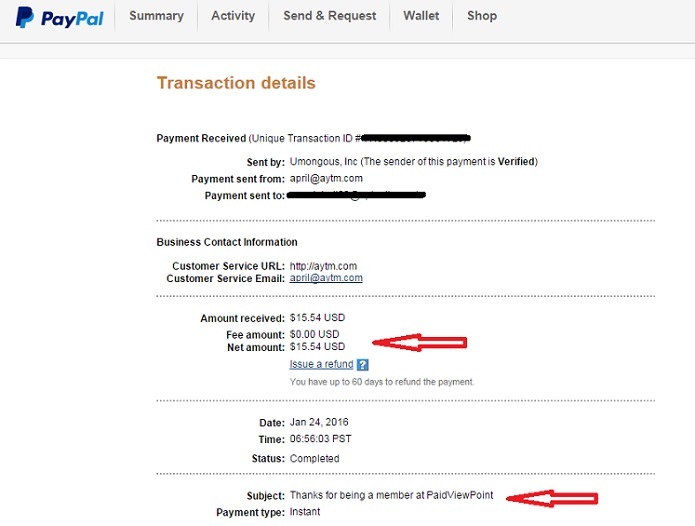 My recent cash out to PayPal. There are two ways that you can earn money at PaidViewpoint. The first way, obviously, is completing Q&A surveys that will take anywhere from 2 to 5 minutes to complete. Most of these surveys consist of 10 questions each and there is no time limit in answering each question. I really like this website because unlike the majority of other survey sites the questions are not boring nor are they long. On average I take no more than 3 minutes to complete a 10 or 11 question survey. But you cannot just breeze through these questions because they keep track of your answers and match them to similar questions from past surveys. This is called a TraitScore, more on this in just a bit. The second way you can make money is to refer other people to join PaidViewpoint. For every person that joins up under your referral you will make 20% of every Business (Biz) Survey they had taken since their last cash out, or first cash out if a new member. It’s a great way to earn money for not doing anything. Though I am not a fan of doing survey sites, I do like PaidViewpoint because they have fixed many of the problems other websites have. Like I said at the beginning of this review, you will never get disqualified during the course of a survey and they pay you cash for your answers. But there has always been a big problem in online market research concerning the quality of data. Unfortunately some people do not stop to think or read survey questions, and fail to give their honest opinions or truthfully disclose of certain vital information in regards to the survey. TraitScore fixes this. What TraitScore does is keep track of your previous answers to Trait Survey questions and from time to time will ask you similar questions to see if you are answering correctly. If you are, your TraitScore will go up. This happens at the end of every survey. The higher your score the more money you can earn per Biz Survey, which in general pays the most. NOTE: Based on the questions asked in some of the surveys, I am assuming that they are more targeted towards a more western North America market. Though PaidViewpoint is open to people in all countries supported by PayPal, it would be logical to expect that payment for each survey will be less in non-western countries. Cash out is a low $15 & they give you $1 when you join. As you can see there really isn’t many cons to PaidViewpoint and my one main problem, which I describe below, is not experienced by everyone. But overall I definitely recommend you join if you like surveys and making some extra pocket money for very little work. However, if you are looking to make real money from home, the type you can turn into a full-time salary, I highly suggest you check out my #1 recommendation that will provide you with everything you need. And like PaidViewpoint it is 100% Free to join and earn while you learn. Now you may be wondering about the 70 out of 100 rating I gave above and I have a valid reason for it. First off, even though I consider this one of the best survey companies that pay cash, there was a problem I encountered that contributed to the really slow journey to my first cash out. During the first 2 months I was getting Trait Surveys every day and sometimes twice a day, Business (Biz) Surveys were about every 4 days. Then in months 3 and 4 Trait Surveys went down to one every 2 days, with Biz Surveys down to twice a month. From then on Biz Surveys stayed at twice per month and Trait Surveys were every 4 days, occasionally being 3 times a week. I do not know if it was because of the answers I gave during my Trait Surveys or it was a flaw in their system of doing things. I am leaning towards it being a result of the answers I gave and my demographics, because receiving Biz Surveys are based upon answers given in your Trait Surveys. I know I am not the only one who has experienced this. By what I can tell from members who have responded to other reviews, even the one PaidViewpoint asks you to fill out after cash out, about only 10% of people have experienced what I had. But I’m still a member and have no intention of leaving. That being said, I still would recommend PaidViewpoint for those who like surveys. It is one of the few free online surveys that pay cash and if you want to join and earn some money, click the website URL just above the Star Rating. Payment for each survey was anywhere from 10 cents to 82 cents. It may not seem like much but it does add up with surveys happening multiple times per week. 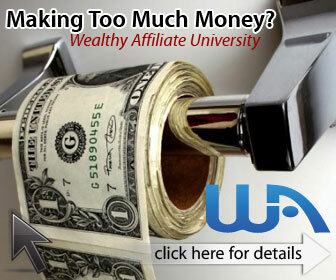 To learn how to start getting paid a lot more money by Fortune 500 companies in affiliate marketing, click the Wealthy Affiliate University banner above right and join for free. If you have any comments or questions about what is offered here, please leave them below and I will get back to you. I don’t get trait surveys. My trait score is just 608. What o do ? It will take a little bit if time for PaidViewpoint to start sending you Trait Surveys on a more regular basis. 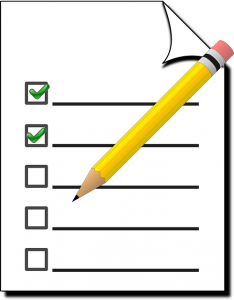 You will get Trait Surveys the more you do the regular surveys. The nice thing about that is you will still be getting paid with each completed survey and you can never be disqualified from earning. 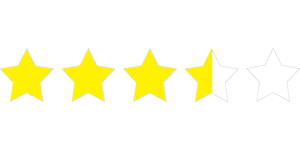 Before I give my humble opinion of your very interesting review, let me tell you that I love your website, every time I visit it You have new and terrific information and reviews. Once again, you have written a valuable review indeed. I love the fact that you actually try the products before you review them. I have a website and I do the same for I want to offer real life experiences to my visitors and not information taking from other sources online. I have always thought the same, why most bloggers write “a lot of reviews” in their website that they have not even tried before. I think they should rather offer other great and actionable articles and advice and give more value and sincere answers to visitors as you do? 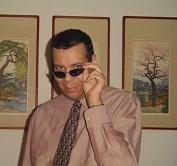 Thank you for being accountable and transparent to us (your visitors) Rober sincerely. About PaidViewPoint, to be honest, I have never done completely online surveys for cash. I just tried it once and out of curiosity, then I spent over 20 minutes reading carefully the many questions they asked, then, about half of the survey I was told that I didn’t pass the survey, which I had not even finished it yet so how I was not qualified? The nightmare came later when I started to get hundreds of emails with all kind of promotions from all the companies advertised in the website where I took the survey, the worse thing is that also the website was sending emails several times a day, so I realize that “doing surveys was like opening a can full of worms. Since that occasion, I have never tried it again. However, I wished I had known about PaidPointView before to make cash doing surveys the right way. Now and after reading your clear and concise review, I’m happy to know that at least there are some legitimate and worthwhile like PaidviewPoint and the fact that there are also not just 1 but 2 ways that you can earn money at PaidViewpoint; by completing the surveys in about 5 minutes instead of 1/2 hour, and by referring other people to join, which, I sincerely, never heard of that before, is that really possible? Thank you very much for giving us/visitors quality reviews and awesome content. And thanks also for respecting our time and space by not putting those annoying and cheap popups indeed! Thank you Olivia. I am happy you like my website. I feel the same way and this is why I do not do many reviews. I do not want to be like the majority of websites that do a lot of scam and make money online reviews, because it is obvious that most of them are just copying information from other online sources. I mean seriously! Do people really think someone can join all of these opportunities and then write a review on them all within weeks of each other? Who has that kind of time or money to waste? As for what is PaidViewpoint, I totally understand your fear of online survey website. I felt the same way but the only reason I tried PaidViewpoint was because I had read they were different than all the other survey websites and I am happy to say that they are! If they were not I would have quit, written a bad review on them, and most importantly I would not still be a paticipating member making money with them. Give them a try, you will be pleasantly surprised! Well I’ll certainly join up under you. I’m trying a few legitimate opportunities not to make extra money for day to day expenses but to see if I can pay for my family to go away on a lovely holiday. Just a little experiment! The other companies I am using are Answered Insight (a survey company in South Africa), Clixsense and User Testing.. can you suggest any other worthwhile pocket money opportunities that might add to this holiday saving? That would be great Lynne. Just remember to set it up so that they can either email or text you when a business survey is available. The sooner you respond the more money you will make. If you wait too long the survey window will close and you will not get a chance until another business survey comes along. Trait surveys you will get several times a month. I will try this Rob! Thank you! It is actually quite fun Pitin. I hope you like them! My traitscore surpassed the max (10,000 it stuck on) for a whole week toward the last week…but still…my pay never went up. 3 cents a survey is all I got and surveys were also reduced to 1 a week, 3 cents per week? not worth it…RIP OFF! and yes, they get to know all about me as they ripped me off. I am NEVER going to fall into a survey trap again, ever in a month of Sundays. They didn’t scam you Jimbo. Though I agree they claim 10 cents per survey, and that is true for everyone who lives in North America and Western Europe, they PVP, should have been more descriptive in the fact that ALL market survey and AdSense revevnue sharing websites only pay at the rate of the country you reside in. Since you claim that you were only paid 3 cents, that tells me you are probably somewhere in South Asia. Advertising revenue and cost of living is a lot cheaper in that area of the world, so naturally payment will reflect that. The reason you feel ripped off was because you were expecting North American rates but got the justified rates for where you live instead. Thanks Robert, I joined and its interesting. I like it. You are welcome Irene. I too find it interesting and though it will not make someone rich, it is a nice and easy way to make some pocket change for a free dinner. I can vouch for your honest review on PaidViewpoint. I am also a member and I do earn from using the system. This is a system that a total newbie can use to start earning their first dollar online. The reviews are super easy to complete. The interface is also a feature that I personally like. Thank you for sharing this review, I hope that more people will see this and take advantage of it. It is totally a great and fun way to earn money in your spare time. Thank you for your comment Jason and it is nice to meet another satisfied customer of PaidViewpoint. I personally do not like survey sites because of the boring questions, the length of time spent for very little money, the 50/50 chance that you will be disqualified from finishing a survey you have aleady started, and the ability to cheat. I AM SO HAPPY that none of that happens at PaidViewpoint. When I stated at PVP I did so to learn about it and to write this review, because I had heard that it was diffeent than all of the other survey websites. I was expecting the worst but was pleasantly surprised. True you cannot make a living online by doing surveys no matter how good the website survey service is, but at least now I know what is PaidViewpoint and how it is truly different and better than all of the rest. I don’t remember having made more than a few cups of coffee doing online survey in the past. In fact, I have given up considering some potential risk of disclosure my personal sensitive information. The other reason is it too much of my time to complete and then to get paid. WA is certainly the way to go if we are serious about making real money. Thank you for sharing. I too do not do survey websites for those reasons as well Fred, but when I saw an ad for PaidViewpoint I set out to see if their claims were true and I was surprised to find out that they are true. Unlike all of the other survey websites, PaidViewpoint does not disqualify you from taking any survey, they take no more than a few minutes to do, they are easy, you do not have to give any personal information, not even your name, and it is free to participate. It is true you will not make a full time income from it, no survey website can do that, but for a 3 to 4 minutes entertaining distraction that pays cash, it is not a bad deal. As long as you see it for what it really is, you can definitely make a little money in the short term. But for lasting and a higher amount of money, WA is the best at making a higher income. Thank you for sharing your review which I found interesting. I too never take part in online surveys as I just doing have the time really. That was quick and easy and I appreciate you sharing your trustworthy review. Because PaidViewpoint is quick, easy, fun and also FREE, plus you do not have to give any personal information to participate, I felt that I should do a review for those who do like doing surveys but are bothered by all the things that make other survey websites problematic. This is what I’ve been looking for in a survey site. I am so tired of doing long surveys that give a small return. 3-5 minutes survey is ideal. I will look into this more. Thank you so much. You are welcome Arief. As I said in the review, I do not like doing surveys because of how they are structured. But when I started to answer the question, what is PaidViewpoint, I needed to join and find out firsthand. I was pleasantly surprised that it was quite fun and that it was a free survey website that pays cash, both aspects that many other survey websites do not do.